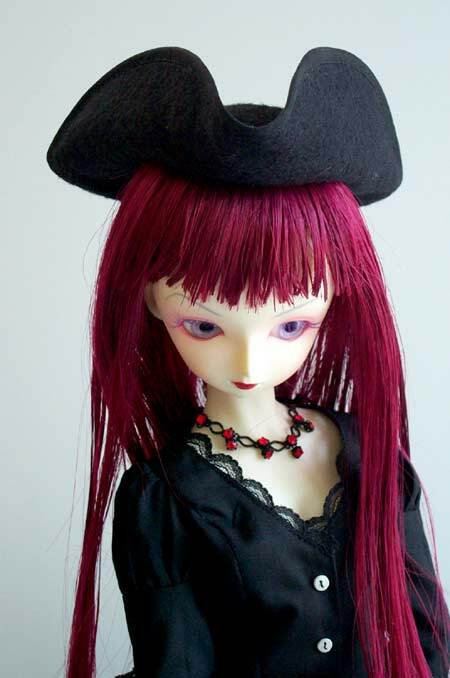 I finally finished a proper tricorn for Fifi. My first try was dismal. But thanks to some helpful hints from my friend and boss Tamera who suggested real wool felt (you can steam shape the crown) and stumbling across this site, 1928 The New-way Course in Millinery & Hat Design, I slogged it through. It just needs some detail and embellishment and I will be happy. Here’s Fifi showing off her new hat & stockings. Previous Previous post: Meet Calliope!